This is much more appreciated here since the new speakers in the market are equipped with latest technology for better audio. Short in budget and have to fit it within 200 bucks? Not a problem! There're many Bluetooth speakers that include captivating features and don't cost much. Besides, to save your time, we have selected ten of the best Bluetooth speaker under 200. Check out their attributes to select the one that suits you the most. Now, in case you're wondering if this list should be trusted or not, we think you should hear out our selection story first. Since you're looking for the best Bluetooth speaker under 200 bucks, our main target was to go with something that fits the budget and still has amazing sound quality. We tried to pick quality devices within minimum price range. As it should be, quality sound was our prior demand. We chose speakers based on their driver arrangement and technology for decent sound production. Bass delivery was given topmost priority. Portability gives you the liberty to use the speaker in random places. That's why most of the speakers are portable here. Many of them include IP codes for rough usage. Majority of these speakers are battery driven, so that you don't have to stuck in one place for plugging. 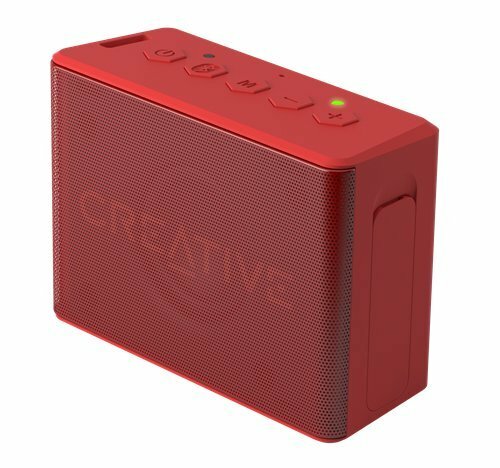 These Bluetooth speakers feature multiple connections beside Bluetooth, which gives you the opportunity to remain open to big range of options. Briefly put, we went for all the possible features that can come handy for convenient use. These are ten of the best Bluetooth speakers of market, you'll not be disappointed. Bluetooth speaker under 200? 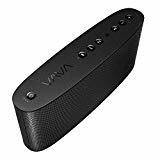 Yup, VAVA Voom 21 Wireless Bluetooth Speaker is definitely one! A good speaker is always expected to give the taste of rich sound one is always craving for. Therefore, a decent driver arrangement is required. And that's exactly what makes this speaker one of the best speakers. It's equipped with two 5W drivers, one 10W subwoofer and two passive radiators. Powerful 5W drivers make sure to deliver distortion-free quality treble. And bass? Well, one of the main purposes of speaker is to produce profound bass since this is what everybody wants when they're going for 'speaker sound', and this subwoofer does it quite excellently. Powerful 10W subwoofer is all about professional bass delivery and just like a good seasoning on the top of a meal, passive radiator makes the experience a lot better by boosting low end frequencies. Deep bass with that amazing catchy booming vibe, VAVA Voom 21 Wireless Bluetooth Speaker knows your priority. It has three different EQ modes to match the mood of certain environment you're in: Standard, Party and Surround mode. The treble and bass combination is a little bit tamed in standard mode. With party mode, the sound gets louder and the bass is much stronger. And when you wanna feel the music coming from all the way around, you can always count on surround mode for a pleasant experience. Yes, mainly it's a Bluetooth speaker. But you can always connect your music player using AUX cable. Moreover, it supports NFC to connect old devices wirelessly. The aptX coded Bluetooth connection allows you to connect two devices at once. You can even switch between devices. What do you think of a speaker that also works as a power bank? Because that's what this speaker actually does! You can charge your smartphone or music player using its 5V/1A charging port. It works with 6700mAh lithium-ion battery. One charging session provides with 10 hours of playtime (in medium level volume). VAVA Voom 21 Wireless Bluetooth Speaker offers you amazing sound with addictive bass, three different EQ modes to suit your mood and the privilege of a powerbank. When all these amazing things are available within 200 bucks, who wouldn't go for it? A list of best speakers? JBL should be included! JBL Charge 2+ Splashproof Portable Bluetooth Speaker's features are literally goals for an ideal Bluetooth speaker model. Let it be sound, connectivity or power handling; this speaker is pro in every aspect! Profound bass is the soul of loud music, JBL understands that. This speaker features a passive bass radiator to deliver powerful bass. With the radiator's splendid activity, you're guaranteed to receive quality low end performance. Portability at its best! This speaker is splashproof so you don't have to worry about placing it near the pool or playing it outside in the rain. Splash of water doesn't affect the components at all, you can even put it under running water. However, immersion is never a good idea. Only splash, not completely water-resistant. Relies completely on Bluetooth for connectivity, streams music from other Bluetooth enabled devices wirelessly. There's an amazing playing feature in this speaker that you won't find in any other device. It has a 'social mode' that allows you to connect three different players/devices at once. You can take turns on different playlists by simultaneously switching those three sources. You can even attend phone calls with this speaker! It comes with a speakerphone to help you attend calls hands-free. The speaker is echo and noise-cancelling, which makes it a wonderful medium for clear communication. The speaker works with rechargeable 600mAh Li-ion battery. It offers up to 12 hours of playtime with one charging session. You can also use it as a part time power bank to charge other devices as long as they support USB connection. So, there you go! 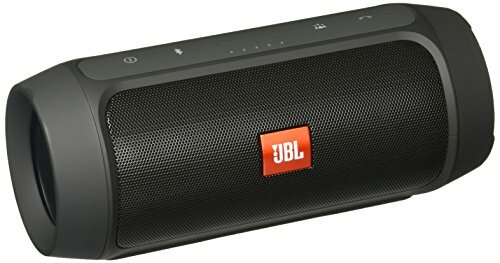 Quality bass, noise and echo cancelling speakerphone for attending calls, Bluetooth with social mode to connect multiple devices, splashproof attire and last but not the least, long battery life; JBL Charge 2+ Splashproof Portable Bluetooth Speaker is indeed the best Bluetooth speaker under 200. Anker 20W Premium Stereo Portable Bluetooth Speaker can easily be considered as current market's best wireless speaker under 200. See for yourself by checking its captivating features out. Sound quality? Perfect for your demand! You see, rich sound is everything for a pleasant listening experience and therefore you need powerful arrangement. Anker 20W Premium Stereo Portable Bluetooth Speaker is equipped with dual ten watt drivers. These drivers ensure full range stereo sound delivery everywhere with strong volume and amazing clarity. Do we have to say anything about the role of bass in sound? Presence of strong beat is demanded everywhere. Bass is what makes a tune so entertaining to listen to. For quality bass performance, it features two passive subwoofers. Along with the help of the speaker's MaxxBass technology, these subwoofers enhance low end frequencies and boosts their quality. And you get your desired booming bass. This Bluetooth speaker uses Bluetooth 4.0 for connectivity. Stream music easily from your Bluetooth enabled device or smartphone if it's within the range of 33 feet. It's programmed to reconnect to the device you last paired automatically. Cable connection is also supported. It comes with a USB cable mainly for charging purpose. Players and other devices can be connected through the included 3.5 mm audio cable. It works with a 5200mAh li-ion battery. The playtime isn't fixed since it varies with the change of volume. After charging, up to 125 songs can be played with medium level sound. High quality stereo sound with rich bass is everything you need for the best music listening experience. And when a speaker includes powerful drivers and techs for this, things are bound to get lit. Anker 20W Premium Stereo Portable Bluetooth Speaker is one of the best Bluetooth speakers for exactly this reason. Looking for a bluetooth speaker made for rough usage? Fugoo GO 100% Waterproof Bluetooth Speaker is waiting for your call. Fugoo GO 100% Waterproof Bluetooth Speaker has a fascinating arrangement for quality stereo sound. It's equipped with 52mm dual full-range drivers for rich sound delivery. 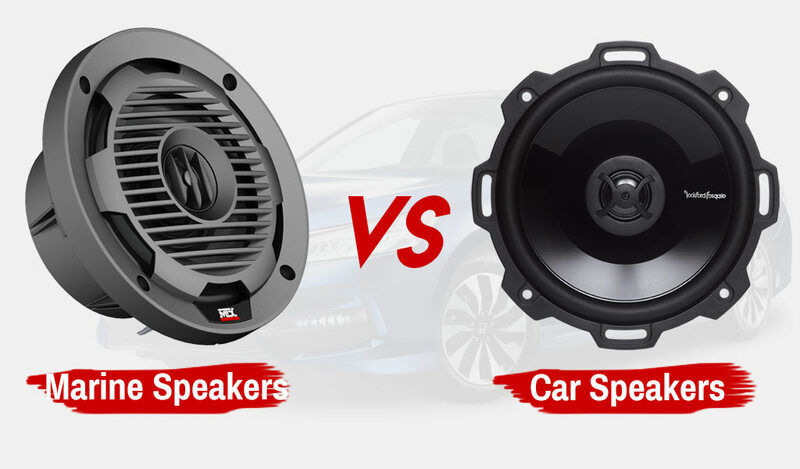 An additional subwoofer is less of your worries as dual bass radiators are already included to enhance bass performance. Surround sound effect always makes things better. This speaker is programmed to deliver 360-degree sound. However, you have to lay it on its back for dispersing sound at every direction. It covers a frequency response range of 100Hz-20kHz. Provides with up to 92dB loudness to meet user's demand. The most fantastic thing about this speaker is, you don't have to worry about its protection, regardless of the circumstance. You can go for bicycling, jogging in the woods, hiking, journey on a boat; shock, rain, hit, dust - nothing's gonna affect it. IP67 rated attire helps the speaker to withstand obstacles, thus makes it waterproof, snowproof, dustproof and shockproof. You can keep it 3 feet under water for 30 minutes. With its rugged casing, IP67 rated driver and waterproof clothing, the speaker's durability is much more intense than you could hope for. It uses 4.2 Bluetooth for wireless sound streaming. You can transmit music from any device as long as it's within the range of 100 feet. The mounting cord that comes along makes it more outdoor-friendly. Mount it on your pant's pocket, backpack, cycle. You don't have to carry it around using your hands. This cord can come handy to turn it into a shower speaker as well. The speaker works with rechargeable Li-ion battery. 5.5 hours of charging offers ten hours of playtime at mid-level volume. USB cable is included for charging. Fugoo GO 100% Waterproof Bluetooth Speaker is the perfect companion for your outdoor adventures. Loud stereo sound with profound bass fulfills your soundholic need, while IP67 rated rugged attire provides with utter protection. Everything you want in your ideal portable Bluetooth speaker, Ultimate Ears WONDER BOOM Super Portable Waterproof Bluetooth Speaker has gotten it all. Everything, starting from captivating sound quality to unbelievable drop-proof and waterproof resistant, loop for carrying privilege to brilliant wireless connectivity. Look at the features and see for yourself. Sound? It's equipped with two 40mm active drivers that can produce sound with up to 86 dB loudness. And how can we forget booming low-end frequencies? For profound bass delivery, two passive radiators are included. It covers a frequency response range of 80Hz-20kHz. Features 360-degree surround sound effect to improve stereo sound performance. Feel the music flowing from every corner around by turning the surround sound effect on. This speaker is perfect for taking places. It's lightweight and small, so carrying around isn't much of a labor. Moreover, it comes with a hang loop. You can hold the speaker using this or tag it to something for more portability convenience. Yes, it's a complete waterproof speaker, not something that can't handle more than just a splash. Submerging under water doesn't affect its IPX7 rated attire. You can easily keep it immersed up to 1 meter under water for 30 minutes. The speaker's lightweight body helps to float it on water. It has also been drop tested. Durability lasts within the height of 1.7 meters. 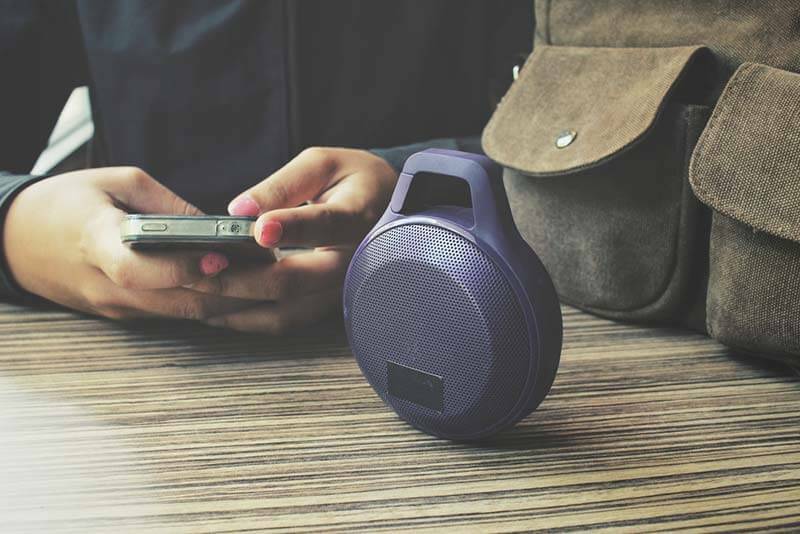 Music can be streamed from any Bluetooth enabled device as long as it's within the range of 100 ft. What's more, you can go louder by connecting two WONDERBOOM speakers using Bluetooth. Controls have been made super easy for everybody's convenience. All you need to do is tap to play, pause, stop tracks. 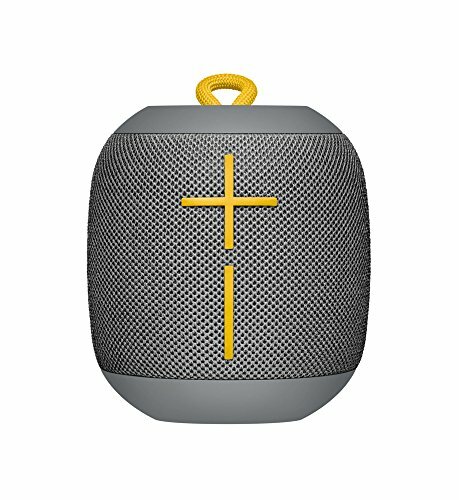 It has a button for pairing with another WONDERBOOM speaker. The speaker works with rechargeable li-ion battery. 2.8 hours of charging offers 10 hours of continuous playtime. Micro USB cable is included for charging. Ultimate Ears WONDERBOOM Super Portable Waterproof Bluetooth Speaker is one of the fabulous creations of Logitech and definitely market's best quality Bluetooth speaker. Sound quality, portability, durability - this speaker excels in every aspect. Little package, big wonder - the most perfect phrase to describe Creative MUVO 2c Palm-sized Mini Water-resistant Bluetooth Speaker. 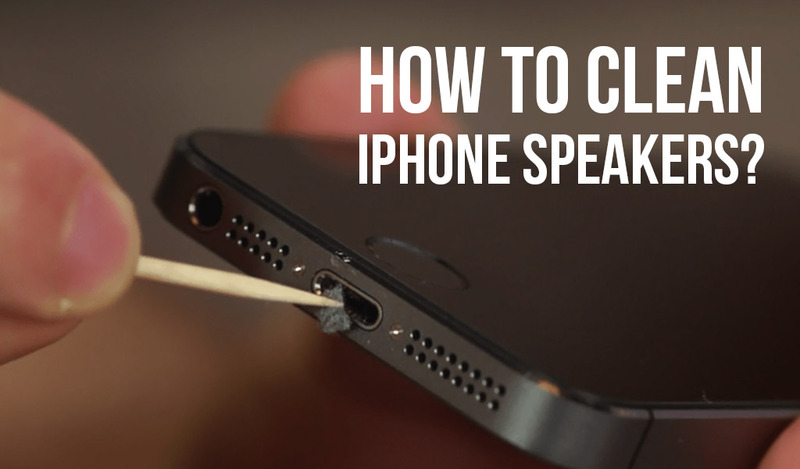 The tiny speaker may not seem like much, but wait till you see it working. Yes, the body isn't capable of holding bunch of giant high-quality drivers, but that doesn't stop it from delivering tremendous sound. It's equipped with a full-range driver to give you the taste of divine treble. Now, it may make you wonder, how does it take care of low end frequencies with just one driver inside? Sure, full-range component does take care of all the frequencies; however, it's not enough for producing strong bass expected from a loudspeaker. Shocking as it is, despite of the absence of woofer/required driver, this speaker can still manage to produce rich bass just like its brilliant competitors. An oversized passive radiator is installed inside for boosting bass notes. The radiator combined with the full-range driver provides a rich audio experience, just like you desire. Not liking the audio as it is? This speaker features Sound Blaster Control Panel that lets you customize those tunes for better experience. Best for outdoor usage. Water, dust, mud - you don't have to fear anything. The body is IP66 rated, which makes it dust and water-resistant. However, it mustn't be immersed under water. Another reason why this is the list, it's lightweight and portable. 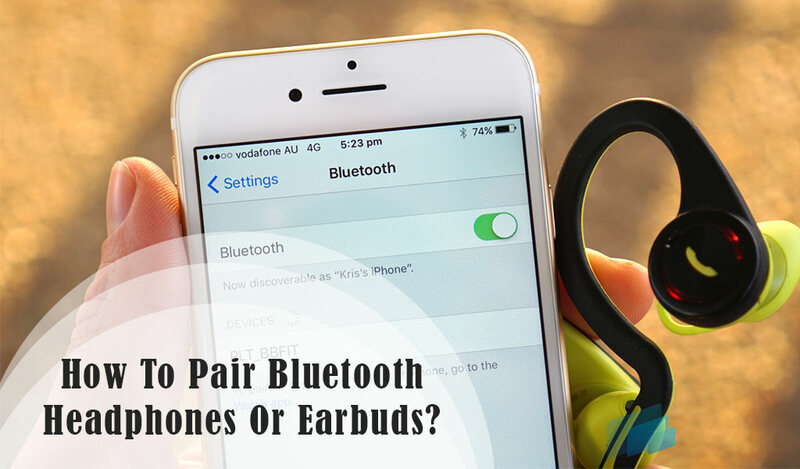 Bluetooth is the main option for connectivity. 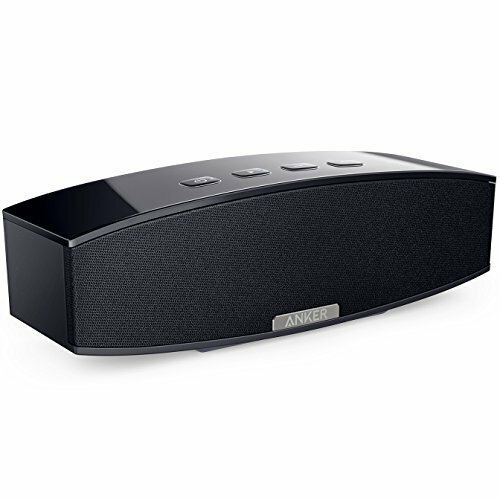 Besides, this speaker also comes with a Bluetooth driven speakerphone which allows you to attend phone calls without touching the phone, alongside pairing devices for playing music. Moreover, two MUVO 2c speakers can be connected via Bluetooth for louder audio. 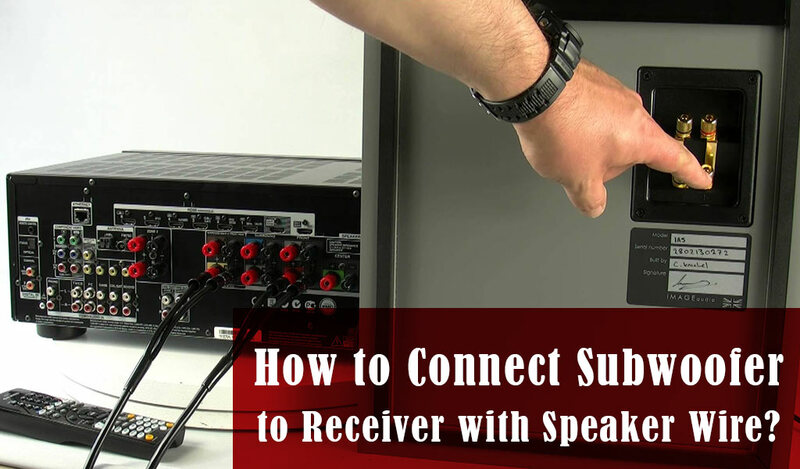 The speaker can be connected to computer using USB cable. Also, a SD card slot is included that enables you to play song from a particular playlist. It works with rechargeable 650mAh li-ion battery. One charging session provides with six hours of playtime. Let it be quality sound or IP66 rated body, Creative MUVO 2c Palm-sized Mini Water-resistant Bluetooth Speaker's features vividly prove why it's indeed the best Bluetooth speaker under 200. Bluetooth speakers usually tend to be small. This is true for Bose SoundLink Color Bluetooth Speaker as well. It's been made small and lightweight for portability. However, small speakers don't sound energetic most of the times, which is a proven fact indeed. This happens for several reasons, but the reason that seems mostly responsible for this problem is the component size. To fit properly, components are made smaller. Often the required mechanism for quality sound gets overlooked in order to make it compact. Yet, this speaker has cleverly dealt with this problem and has a commendable arrange for sound. That's right, you get the complete experience of tremendous Bose technology even in such small attire. It's the best for outdoor usage. Water splash isn't much of a deal since the body is water-resistant. Put it near the pool and relax, submerging isn't allowed though. Ain't affected by shock due to its rugged condition. What's more, the speaker is packed in soft-touch silicone exterior which helps with quick pick up and avoiding slipping it off. Technology is evolving for convenience, and Bose has evolved itself too. It introduces an app for quick Bluetooth connection establishment. Now you don't have to wait for a while to detect the device. A voice prompt software is included that lets you know when a device is connected. Pairing NFC devices is also quite easy, just tap and connect. This speaker comes with a built-in speakerphone that allows you to attend phone calls without touching the phone. You can also have access to Siri and other digital assistants through this speakerphone. It works with rechargeable li-ion batteries. One charging session provides with 8 hours of playtime. 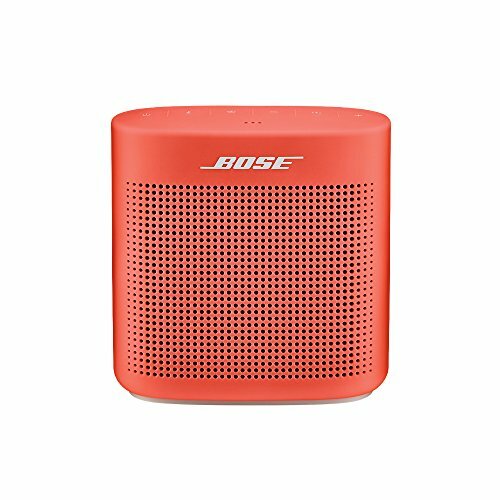 With upgraded technology and rugged attire, Bose SoundLink Color Bluetooth Speaker is always that one Bluetooth speaker you can look up to. It sure is the best for outstanding performance, and not to mention, outstanding construction. Sonos Play:1 Compact Wireless Speaker's best attribute is, it's upgraded with latest technology. And? And that's why your music playing privileges are more expanded. In fact, this speaker lets you do stuffs that you can't even imagine with many other speakers. The little box-like shape doesn't seem like much, but wait till you turn the music on. It's equipped with a tweeter that's completely devoted to deliver distortion-free crisp treble. The 3.5-inch mid-woofer takes care of mid-range and bass response. And what's more, it actually delivers profound bass like professional gigantic speakers. Audio performance is richer with dual Class D amplifiers. Drivers are custom-tuned and features an audio software for enhancing sound quality. 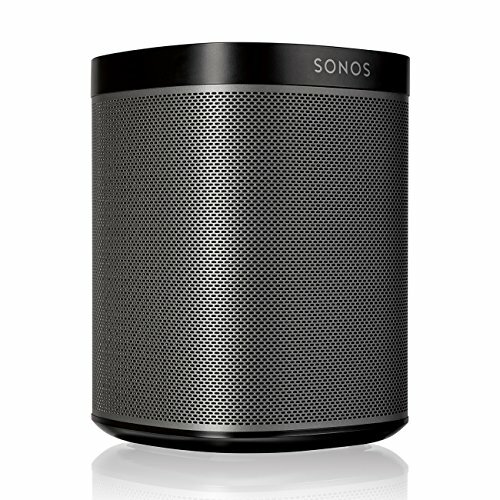 Connecting two Sonos Play:1 Compact Wireless Speakers results in louder response. You don't have to worry much about its placement. The compact little body can fit anywhere. Shelf, rack, table top, cabinet, counter-you can put it in any succinct place and still enjoy great music. The speaker is mountable. It features cables for mounting. 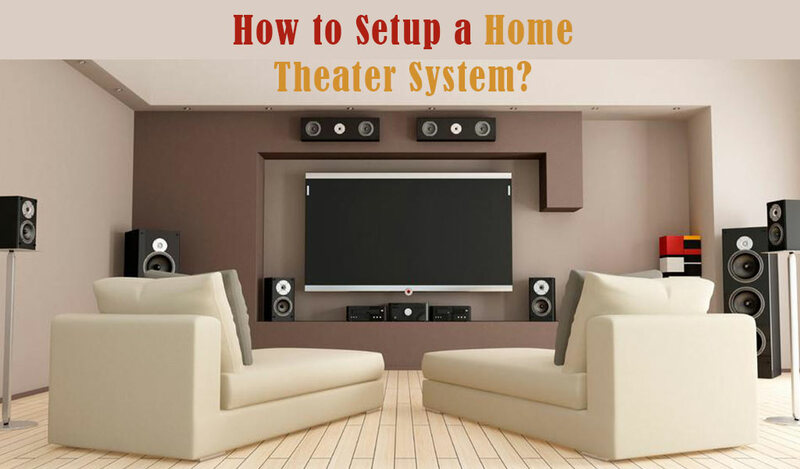 You can put it up with other components of a stereo or home theater. For pairing, it primarily relies on Bluetooth. Connect and stream your favorite music from a Bluetooth enabled device. You can even have access to Spotify, Pandora, Amazon music and other similar services. Again, it can connect to digital assistants like Alexa and devices like Amazon Echo, which gives you the privilege to play your favorite song in this speaker with voice command. The best thing about this speaker is, your music enjoying experience isn't limited by source or choice. You can expand the arrangement using this speaker, even in several rooms. The setup is quicker with Wi-Fi, but you can use Bluetooth as well. One more thing you can do with this speaker that's not possible with others, you can play the same song in sync throughout every room, or keep on playing different tracks in different rooms. Quick Bluetooth and Wi-Fi connectivity, use of digital assistants and digital music services, software and excellent components for quality sound, unique playing choices - sure, no other speakers can't be compared to Sonos Play:1 Compact Wireless Speaker when it comes to innovative features. 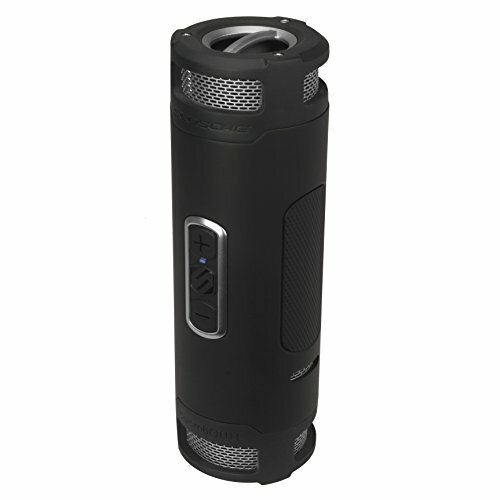 Quality sound, portability, rugged usage - when it comes to these three, SCOSCHE BoomBottle+ Rugged Waterproof Portable Wireless Bluetooth 4.0 Speaker definitely is the our recommended Bluetooth speaker under 200. About quality sound? Let the speaker's components explain. It features dual 12W 50mm drivers for stereo. Those drivers come with an omnidirectional diffuser to disperse sound at every direction, thus create captivating 360-degree surround sound effect. Moreover, you can go louder by connecting two BoomBottle+ speakers. It includes a passive subwoofer for profound bass. The subwoofer is in a ported enclosure which helps in delivering powerful outcome of low end frequencies. The sound demand varies with environment, and this speaker understands that. It introduces an indoor/outdoor EQ system that has different modes for outdoor and indoor, just switch to the required mode to attain the best response. Water and dust are least of your worry, thanks to its IP67 rated attire. The lightweight body can float on water. Submerging won't do any harm as long as it's within 3 ft. of water. The speaker is mountable, you can easily mount it onto a mounting template or tripod using ¼ inch thread bottom plate that comes along. Also, it is bottle shaped which helps with fitting in bottle/cup holders. Or you can hook it up using carabiner clip. Large rubberized controls are featured for operating convenience. The speaker comes with a 2.1A USB port that allows you to use it as a power bank for charging smartphones and other similar devices. It works with 6000mAh rechargeable battery. After charging, it offers up to 15 hours of playtime. Mounting/hooking privilege and IP67 rating make it a brilliant choice for outdoor audio entertainment. No matter how hostile the situation is, that can't stop you from having a good time. Just set the mode on EQ settings and start enjoying SCOSCHE BoomBottle+ Rugged Waterproof Portable Wireless Bluetooth 4.0 Speaker's rich bass and fascinating surround sound. Let's end the list with another splendid JBL splashproof Bluetooth speaker, shall we? As every other excellent JBL speaker, JBL Pulse 2 Portable Splashproof Bluetooth Speaker introduces quite a brilliant sound delivery arrangement for such a compact body. It's equipped with standard drivers for basic sound production. The treble is pretty crisp and distortion is merely a problem. It covers a frequency response range of 85Hz-20kHz. What makes it stand out in the race is the bass performance. Deep bass has always been the topmost attraction of loud music and this speaker takes care of this demand with dual passive radiators. These radiators are situated on the speaker's panels for thorough frequency flow. We gotta admit, the bass game is quite strong with this one. Easily take it out for an outdoor event. Whether it's water splashing from the pool or first few raindrops, this splashproof speaker is always invincible. 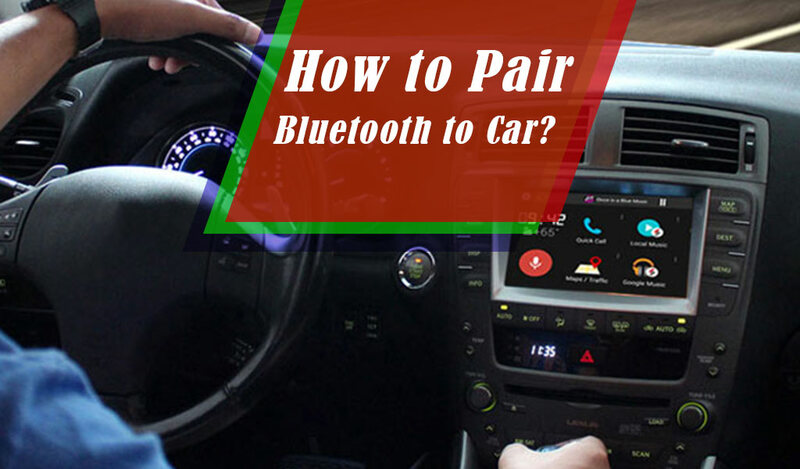 Bluetooth is the main option for pairing. JBL features an app to establish quick Bluetooth connection. You can link up to three devices at once using this option, and simultaneously sync between them. USB and AUX ports are included for cable connection. Now, let's talk about the speaker's biggest appeal: the LED lightshow. It introduces a vibrant lighting arrangement that increases the fun of amazing sound with stunning illumination. Moreover, JBL Prism color sensor lens is introduced that detects color and featured LED lights showcase the exact detected color. A noise and echo-cancelling speakerphone is also added in this speaker for attending calls. Includes controls for easy navigation. It works with rechargeable 6000mAh li-ion battery. After charging, you can enjoy up to 10 hours of playtime. JBL has always been committed for better experience and this is quite evident in JBL Pulse 2 Portable Splashproof Bluetooth Speaker. With stunning addition of multi-color LED lightshow, rich bass production of bass radiators, speakerphone and splashproof attire surely makes it the best Bluetooth speaker under 200. Well, it's evident from the title that budget is least of your worry for a good decision. All the speakers in the list are within 200 bucks. So, let's focus on other main thing that should be considered before buying: the purpose. Sure, quality sound is your main priority, but still everybody has a sole intention for using their speakers. So, figure that out first. 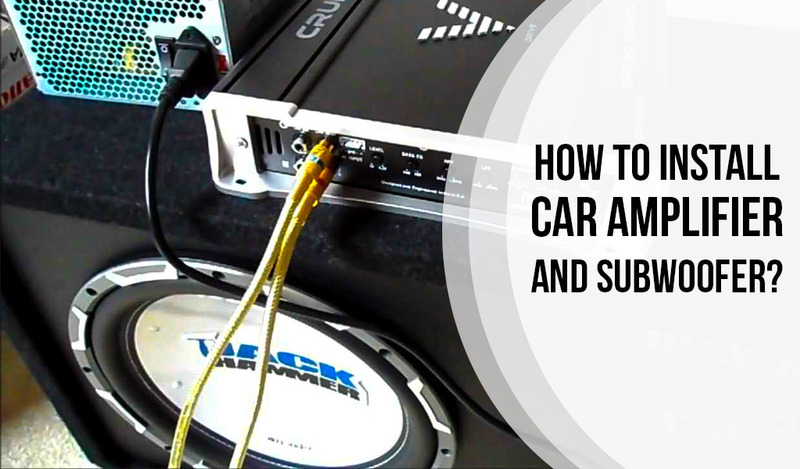 Where you want to put it, when you want to listen to music, if it's meant for a certain system or random usage - these decisions will help you to get to your desired speaker faster. Every speaker follows a particular arrangement for sound production. That tells a lot about their performance. Make sure your speaker has good woofer/bass reflex port/passive radiator, in case you don't wanna miss out the immense pleasure of profound bass. Many speakers use their own patented technology to produce rich sound. You can always look forward to these new techs. However, since it's a unique feature of a specific speaker, the benefits should be reviewed first to see if this technology is really worth it or not. Frequency response range is often mentioned in description. FRR lets you know which frequencies are accurately covered by the speaker, thus gives you hint of its treble and bass performance. Since we're talking about Bluetooth speaker, it's obvious you don't have to rely on wires for pairing music players or other devices. However, the advantage almost has no fun if you still have to rely on cable connection for power. On the other hand, portability gives you the privilege to take the speaker anywhere. Your house, college dorm, backyard BBQ or pool party - there's no limit for events and locations. You want good loud music on the way, portable speaker is always there for you. So, our suggestion would be to go with something portable, unless the wiring is really that important. You don't wanna spend all your calories on dragging a heavy box, do you? So, ignoring the weight and shape of your portable speaker is really not a good idea. It's better to go with lightweight and small body, because this makes it easy to carry around places. Moreover, you can easily fit a small speaker in your backpack, mounting frame or in case it's bottle shaped, in a bottle or cup holder. Mounting capability isn't mandatory for all speakers. Some manufacturers provide with a kit, so you know, mounting isn't that much of a deal with those speakers. Some speakers include carabiner clip or hanging loop, you can always use these attributes for tagging. However, separate mounting frames or kits are also available for your mounting convenience. Not everybody wants to make their speakers a permanent part of the table top. Many speakers are used outdoor and some have to be in rough situations like bicycling, hiking, canoeing and so on. For rough usage, go with rugged attire. IPX or number rated bodies ensure protection against water, dust and shock. If it's portable, there's no doubt that it's battery-driven. Two types of batteries are used in Bluetooth speakers: built-in and removable. Speakers with built-in rechargeable batteries possess the major division of market due to their outstanding working ability. However, removable batteries help speakers to last longer. So, considering privileges of both, we're remaining neutral. 1. What's a passive radiator? Ans. Bass has always been the main priority of loud music. Speakers use woofer for bass production, however, it can't be housed in compact enclosures often due to space shortage or mechanical difficulties, that's when manufacturers go for passive radiators. Passive radiator works as an alternative for woofer or bass reflex port. It kinda looks like an active driver, but without amplifier, circuit or voice coil. It resonates to produce low pitched audio from the frequencies trapped inside the enclosure. Yes, it's true, passive radiators can never replace subwoofers by all means, still they're pretty effective for rich bass delivery. 2. What do ratings like IPX7, IP66, IP67 have to do with a speaker being waterproof? These ratings are inspired by a particular code known as the 'IP code'. IP code stands for International Protection marking (Or, Ingress Protection marking in some cases) that decides the protection level held by a certain electronic item. There are many stuffs (water or dust for instance) that can be proved threatening for electronic devices and to solve this nuisance, manufacturers are always backing these items up with different protective gears and construction patterns. IP codes are used for describing the type of protection you can expect from your device. 3. What do IPX7, IP66 and IP67 ratings mean? Ans. IPX7, IP66, IP67 are the usual ratings we see in portable Bluetooth speakers. IPX7 rating stands for protection against water splash, it also works for short time immersion. IP66 rating is active only against water jet flow. IP67 is a bit more advanced than IP66 rating, able to deal with immersion within a meter in depth. Ans. Though NFC is not much of an alien concept, still this isn't shocking that most people aren't familiar with the term, specially current generation. NFC is a medium just like Bluetooth, but less known and less used. However, this medium is rising again, thanks to digital payment services. NFC is the short form of the term 'Near Field Communication'. It links two devices (in some cases, more than two) within the range of 4 cm, where at least one of the devices is required to be portable. These devices work as transmitter and receiver, and use radio wave to connect wirelessly. ​Though NFC is not much of an alien concept, still this isn't shocking that most people aren't familiar with the term, specially current generation. 5. Which devices can be linked via NFC? Ans. NFC kinda functions like Bluetooth, it uses similar devices too. NFC works with a wide range of mobile devices like feature phones, smartphones, tablets and various portable receivers. 6. How should I mount my Bluetooth speaker? Ans. Most Bluetooth speakers are manufactured for upright placement, which is why they hardly feature any mounting kit or template. However, in case you wanna mount or hook it, you can always go for separate kits. Sometimes there are holders, loops and templates for compact portable devices in vehicles or backpacks, you can use them too if it fits. And if your speaker includes its own kit, all you gotta do is just follow the instruction that comes along in the user's manual. 7. Is it necessary for a Bluetooth speaker to be portable? Ans. Obviously this is not a mandatory condition, still more convenient. Portability gives you the liberty of enjoying good sound anywhere regardless of the place. Moreover, you don't have to stuck in one place to stream music from a Bluetooth enabled device when your speaker is portable. 8. 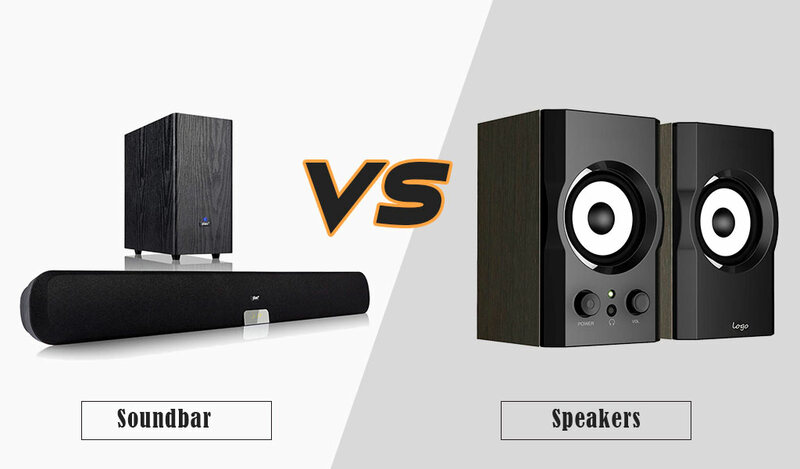 Which one is better: built-in or removable battery? Ans. Both have their fair share of privileges. However, removable battery ensures device's longevity. 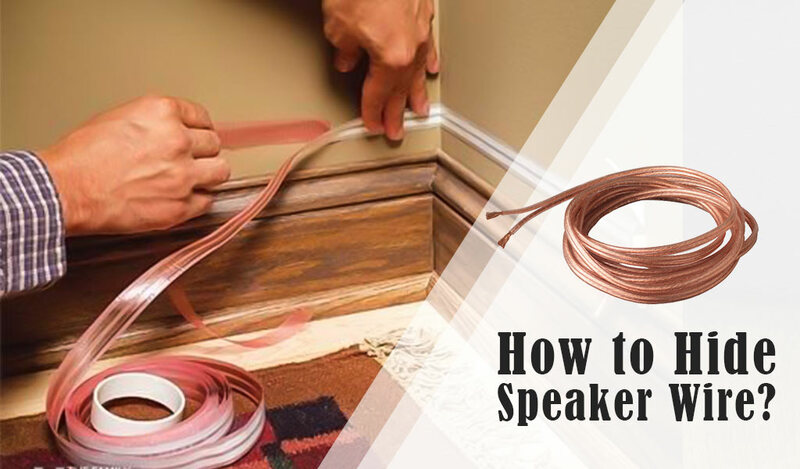 You'll have to say your last goodbye to the speaker once its built-in battery is permanently damaged, while a battery replacement is all you need to keep a removable battery-driven speaker going. Our target was to bring you some of the best Bluetooth speaker under 200 dollar suggestions for your utter convenience. We hope the list was exactly what you're looking for. Just choose the one that meets your needs and suits you best. If you're still having trouble deciding, we are always there to help. Write your query in the comment section below, we will reply as soon as possible.